Parents, we understand the struggle it can be to help your child with their daily math homework! The latest trends in education are always changing and evolving, especially when it comes to math. 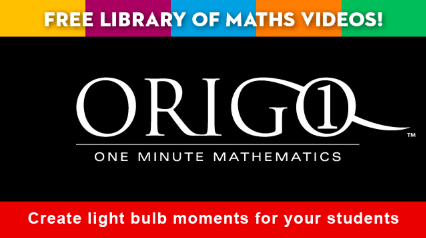 Origo is helping us all with their 1 minute math videos. The videos are short, bite sized pieces of information, that's easy to get your head around. There's a large range of topics and concepts, for whichever unit your child is currently on. They might just give you a new insight on how to help your child with a particular concept or skill.